Get Fit(ted) with Fleet Feet Sports! Step 1. Thinking about going to the gym. Step 2. Remembering that Jennifer Lawrence quote about how she prefers the couch to a workout. Step 3. Remembering that I am neither Jennifer Lawrence's age nor blessed with her build. Step 4. Putting together workout clothes at the last minute. Step 5. Pulling and tugging at ill-fitting leggings and jog bras the entire time I'm on the treadmill. Now, there's probably not a lot I can do about the whole "not being J-Law" thing. The old sports bras, however, I can (and probably need to) change. And, right here in Louisville, there's something I can do about it this weekend. All day (10:00 a.m.-6:00 p.m.) Saturday February 15, Fleet Feet Sports is hosting a Valentine's Day Bra Fit Fest. They're offering bra fittings and apparel specials along with champagne and chocolates! If you bring in a gently used bra to donate to Free The Girls: Fight Human Trafficking and receive 20% off a new bra. You can learn more about the Bra Fit Fest on its Facebook event page. In "2014 valentines", "exercise", "fleet feet sports", "running", "sports bras"
I have decided that 2014 is The Year of The Goal. As I think of the year ahead, I am filled with so many ideas that I don't know where to start. I recently moved to a new home in a city that, while familiar, has changed enough since I left to seem new and exciting. My beau and I have greeted some wonderful new opportunities, both personally and professionally. To be honest, I'm so bombarded with ideas for "what's next" that I'm a little overwhelmed. I can't do it all. Maybe I can't do it all, but I can do most of it with some careful planning and even more carefully set goals. That's why 2014 will be, at least for me, the Year of the Goal. Resolutions are easy to make. Dreams are easy to conceive. But goals? Goals are something that you plan to accomplish. Goals require action and accountability. Goals mean that you're going to get something done. So, as 2014 came around, I asked myself "What do you want to accomplish this year?" I took those ideas and turned them into something concrete, with plenty of room to reassess, revise, and reestablish goals. I'm looking for long-term happiness and success, not crossing something off a to-do list just because I said I would. I started January with three ideas. I want to publish my writing in more outlets, I want to exercise more frequently, and I want to start knitting again. I turned each idea into a goal: "I will publish in forums x, y, and z by the end of the year"; "I will complete another half-marathon this spring"; and "I will knit a scarf in January." See how my aspirations were turned to declarations? Goals are something you will accomplish. Knitting was an easy skill to re-learn. Today is January 8th, and I'm nearly finished with a dark grey wool scarf for my beau. That one was almost too easy. As for the 1/2 Marathon, I don't know if it's the right goal. Of course, I'd need to start a training program right about now to get myself up to 13 miles in the spring. But, I've been fighting a back injury for several months, and I worry that this isn't the most attainable goal. Getting fit might be a better goal for my long-term health and fitness. I'm consulting with a doctor and logging my mileage. I'm not giving up just yet, though. There are exactly 100 days until the Derby Mini. A lot can be accomplished by then. And then there's writing. I've devoted a lot of time to brainstorming ways to make various articles and essays better fit their intended audience. I've studied the submission guidelines for the publications in which I want to be published. But, I don't know any surgeons or lawyers or any other professionals who got to be great just by brainstorming and studying. They succeeded by practicing their trade. So, in 2014, I will reach my publication goals by writing more. It's easy to call oneself a writer. But, as Holly Golightly famously asked her neighbor Paul, "Do you write every day? Did you write today?" I hope to write something every day in 2014, even if it's just a character sketch or a well-planned Facebook status. I nearly allowed this goal to be derailed because our new computer, ordered just before last year's end, was delayed in shipping. If you think about it, though, the list of great works that were not composed using OS Maverick is infinitely longer than its cutting-edge counterpart. Writing simply takes an idea and a means for recording. A goal shouldn't be abandoned due to a mere technicality. Limping to the finish line. I didn't run it all, but I did finish the thing!! I figure I'll add goals as I mark others as complete. But, I want to embrace this year as the year I get things done. 2014 is The Year of the Goal. (Click to Tweet.) What are your goals for 2014? In "2014", "fitness", "goals", "knitting", "running", "writing"
Like many across the nation and the world, I was horrified on Monday as my Twitter feed went from tweets cheering on the marathoners in Boston to tweets sharing a terrifying situation as it unfolded. In the days since, the horror of the bombings at the marathon finish line has saddened me to a degree I found a little surprising. I don't know anyone personally affected, but I think the fact that the victims are just normal people who were there to run, there to cheer, there to celebrate. Running is a sport without a lot of barriers to entry. Lord knows, if I can become a runner just about anyone can! Slow, fast, short, tall, expensive Nikes or barefoot, many many people can participate. It's a sport that doesn't require a lot of cash outlay to get started. In fact, running is one of the first things many children do in their natural progression of development. I'd wager that most of us have either run in a race or have cheered on friends and family in a race. Of course, it takes a lot of dedication and commitment to qualify and participate in the Boston Marathon. You don't have to have a qualifying time to be a runner, though. No matter the distance or the speed, there's a camaraderie in the running community. It's been heartwarming to see the running community in our state come together to strengthen those bonds of health, fitness and the celebration of life in the wake of a tragedy like we've seen this week. All over the state, remembrance runs have popped up. One of the biggest will happen this Saturday in Lexington. John's Run Walk Shop will host a remembrance run for Boston on Saturday 4/20 at 7 am. The group welcomes all speeds, abilities and distances to start off from the shop South Ashland Avenue in Lexington (Chevy Chase) and encourages the wearing of green and white (Boston's city colors). 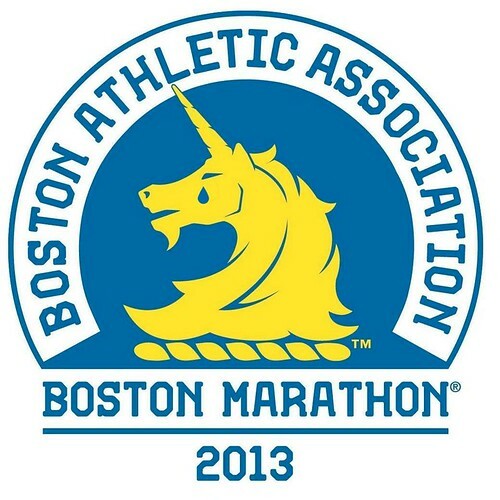 If you're a runner but not able to attend the run on Lexington, will you dedicate a run this week to the folks in Boston? I know it weighed on my mind tonight, as I struggled through a few miles along the Kentucky River. No matter how tough those miles were, no matter how out of running shape I am, it felt good to get out there again. In "central kentucky", "john's run walk", "lexington", "running"